In Wicca and other forms of Paganism, the Goddess and God encompass the divine female and male energies of the Universe. For many practitioners, within these energies are countless deities who have existed since before the beginning of recorded history. Gods and goddesses like Osiris and Venus predate the modern religion of Wicca by thousands of years, but have been essentially reclaimed over the past century by those who feel connected to them as a living presence in their lives. 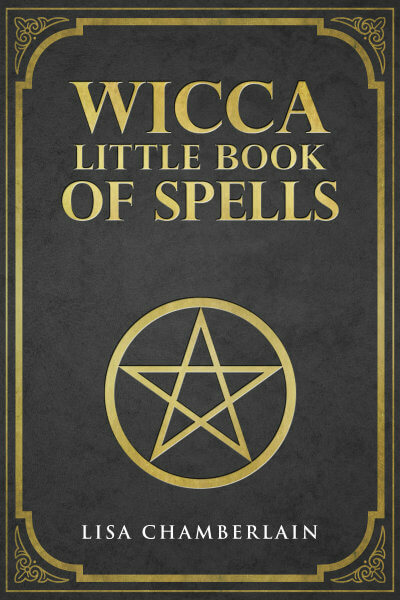 Of course, like so much else when it comes to Wicca, the ways in which the divine is identified and worshipped are quite diverse. Duotheism, polytheism, or somewhere in between? For many practitioners who keep to the traditional duotheistic concept of Wicca, the ancient deities are incorporated as parts, or “lesser aspects,” of the “supreme” Goddess and God. In this sense, they do not really have a role to play on their own. For others, who tend to fall into the category of “eclectic” Wiccans, the inclusion of ancient deities may be more polytheistic. These gods and goddesses might be part of ritual practice in their own right, in addition to the God and Goddess. They may be adopted as “patron” gods or goddesses, with whom the Witch maintains an ongoing relationship, or they may be honored at particular points along the Wheel of the Year. They may also be appealed to for assistance with magical work, usually with specific types of magic they are traditionally associated with. It may seem odd to some to “borrow” a deity from another religion to worship in a Wiccan context. However, the adoption of deities from another religion isn’t at all a new practice. Throughout the history of human society, people have merged and adopted deities from those they came into contact with, blending aspects of their own religion with that of the new one. This can be seen today in Ireland and Latin America, for example, where pagan gods have been made into Christian saints. In fact, many Wiccans and other pagans take the perspective that all deities, and even all religions, come from the same original source. As Wicca evolved over the mid-20th century, it ultimately came to incorporate the identities of several deities who had been worshipped in ancient times. These came most often from the religions of the ancient Egyptian, Greek, Roman, and Celtic civilizations, but other deities—particularly from the Hindu and Norse pantheons—have also become increasingly popular with Wiccans. Today, Wiccans might work with deities from any pantheon, from anywhere around the globe, including Africa, Asia, the Americas, and even the indigenous cultures of Australia and New Zealand. Many people choose to work only with deities from their own hereditary cultural heritage, as a way of linking with their ancestors from past millennia, while others are drawn to deities with no connection to their own family or ethnic history. As Wicca has continued to grow, there has been much discussion about “appropriation” of deities from existing—and often marginalized—cultures. As a result, some Wiccans choose to work only with deities from “lost” ancient religions, such as that of the Egyptians, Celts, or Norse. Deities from Native America or India might be considered to be an overreach, since they are still worshipped in these cultures today, even if it’s to a lesser extent than it was a few hundred years ago. Ultimately, however, these decisions are personal, and, with the exception of those joining a formal coven, up to the individual. If you want to explore the possibilities of working with one or more new deities, there are a few ways to go about your search. You might, as others have done, research the ancient culture(s) of the parts of the world your own ancestors came from. Or, perhaps there’s a particular region or culture that has always intrigued you for some reason you can’t quite put a finger on—if so, start looking at their history, mythology, and deities to see what intuitive connections you might discover. You can also ask the Goddess and the God to make themselves known to you in the aspects that are most appropriate for your own practice. This might occur via a dream, or some other sign or signal. Many Wiccans will say that their deities found them, rather than the other way around, so be sure to listen to your inner knowing as you ponder the question of who you might link up with in the astral realm. When an answer becomes apparent, read all you can on the deity (or deities) in question, so you’ll have a clearer sense of who you’re seeking to forge a relationship with. Read historical information about the people and the culture the deities originated from, as well as the original myths they appear in. Get a well-rounded education in your deities of choice, rather than simply adopting the perspective of one or a few Wiccan practitioners. 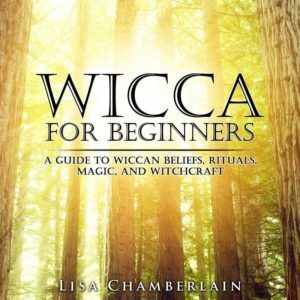 After all, the relationship between Wiccans and their deities is intensely personal and unique to each individual. The more you know about the gods and goddesses you seek to work with, the more authentic and astounding your connection with them has the potential to be.